Thanks to Vietnamese site Vietnamnet, we are getting a look at what could be the third color variant for Google’s current flagship, Nexus 5. The site posted an image early this morning of a Nexus 5 with a bright red backing, similar to the color of red we have seen in the official N5 Bumper and Nexus 7 Sleeve. It’s very Lumia-esque, and almost a neon red, if you will. According to the outlet, this is only a sample product, but retail availability is expected around February or March. In the report, though not pictured, a yellow variant is also brought up. The yellow is said to be a lot like the bright yellow you will get on a Nokia Lumia device, or I’d argue, with the Nexus 5 Bumper or Nexus 7 Sleeve. Google has given us a clue into its current taste for smartphone colors through its accessories, so look there for a potential preview of things to come. Their source did not have a launch time frame for the yellow variant. Coincidentally, a purported leak showed up on the interwebs this week that claimed to reveal a version of the Nexus 5’s Play store page with up to 8 different color options, 6 of them new. The new colors joining white and black looked to be a wine red, puke yellow, orange, dark green, blue, and purple. A video and set of screenshots accompanied the report, which were almost all certainly fake. You can see evidence of a poor ‘shop job throughout along with missing action items on the page as it loads each time the “tipster” clicks around. 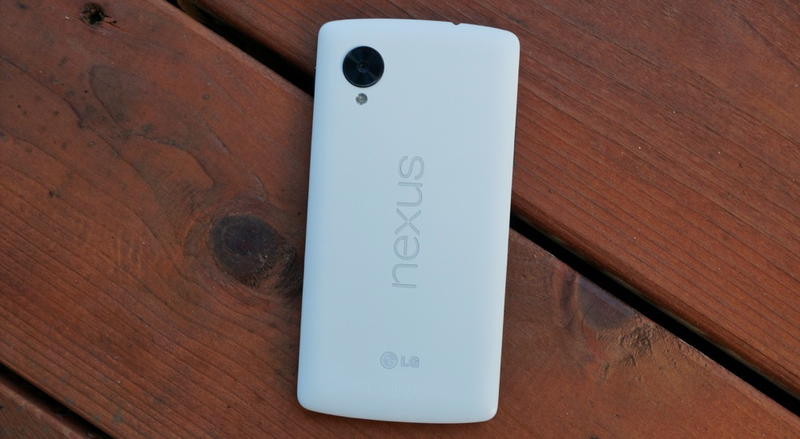 But more importantly, Google would never choose such terrible looking colors for its devices. As we previously mentioned, Google likes bright neon colors of red, yellow, and blue, paired with whites, greys, and blacks. 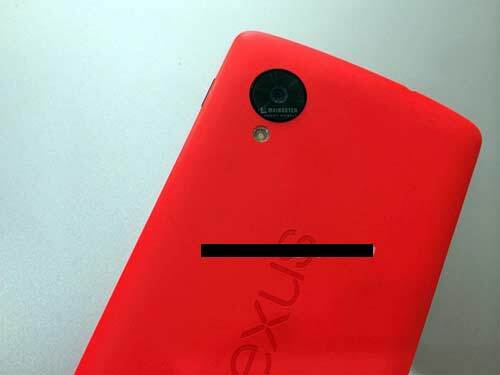 So, who wants a bright red Nexus 5? Or even a bright yellow?